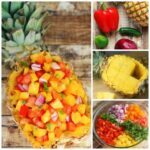 17 Sizzle Worthy Hot Dog Recipes - Frugal Mom Eh! It seems like as soon as the hot weather hits I start craving hot dogs, and yes, sometimes even street dogs. I do get tired of my usual ketchup and mustard topping and like to get creative with flavours. 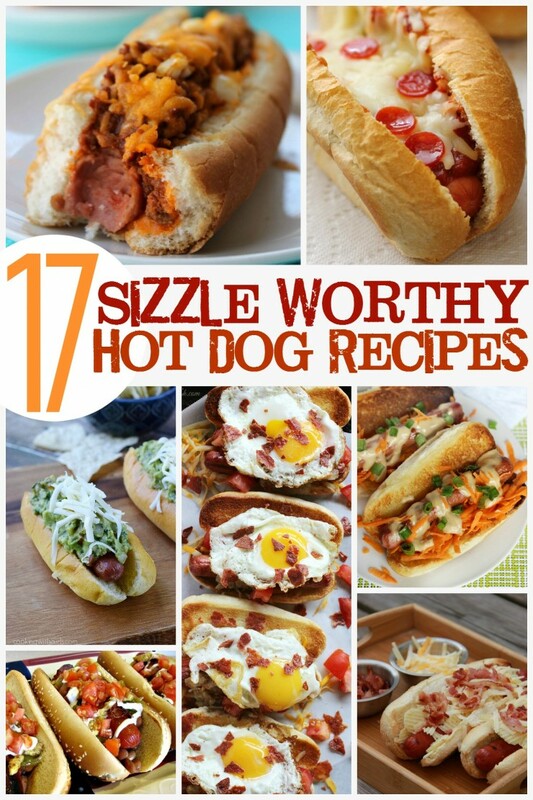 Join me in drooling over these amazing hot dog recipes curated from some pretty awesome blogs! 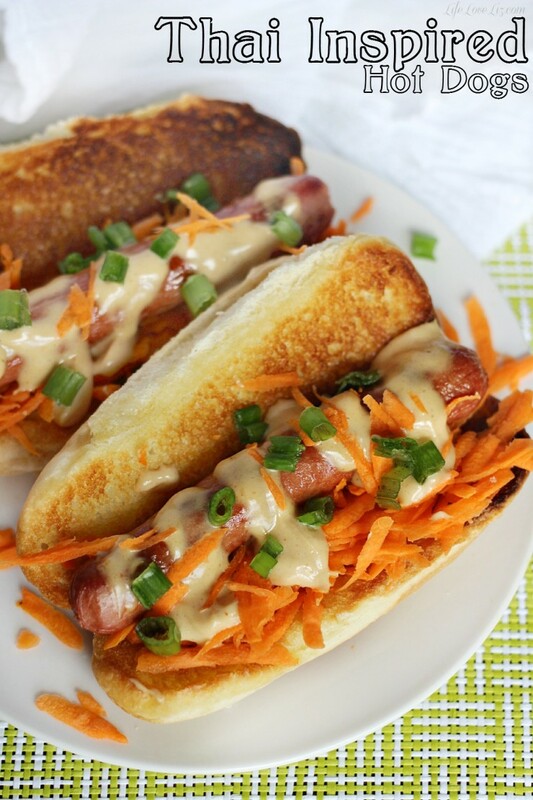 Thai Inspired Hot Dogs – Features light peanut sauce and fresh veg. Mac and Cheese Dogs – A hot dog smothered in mac and chese. Philly Cheesesteak Hot Dogs – Enjoy this all-American classic gone hot dog, it’s a meat-lovers dream! 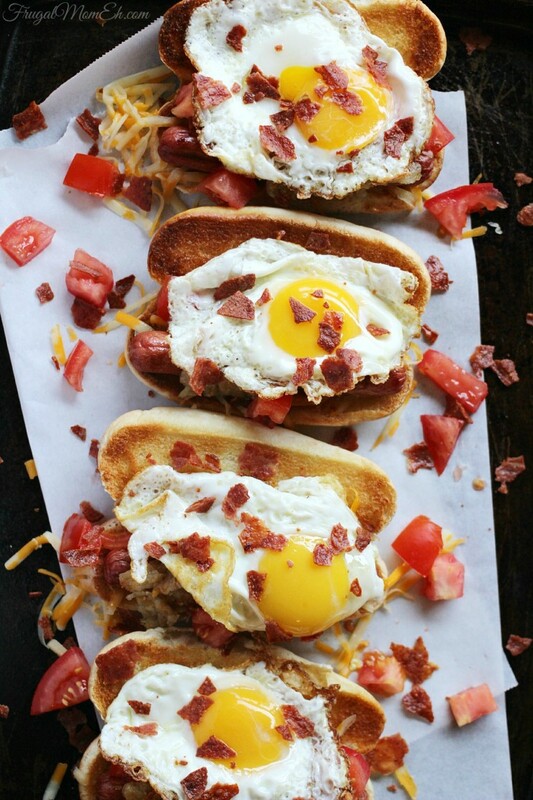 The Ultimate Breakfast Hot Dog – Cheese, Hash brown, Bacon, Tomato, topped with a sunny side up egg? Yes, please – any time of day! Sriracha Guacamole Hot Dogs – Sriracha and Guacamole come together in this hot dog recipe to create one heavenly combo. 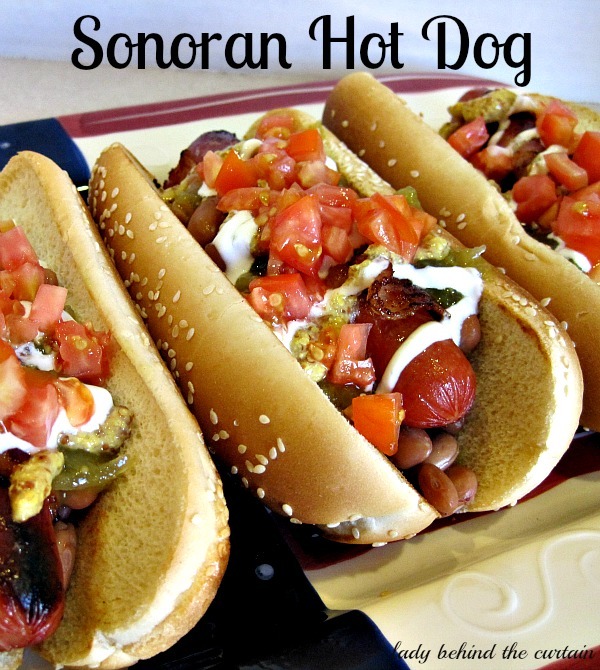 Sonoran Hot Dog – Bacon, pinto beans and salsa verde make this hot dog unique and flavourful! BBQ Beef Brisket Hot Dogs – Do I really have to explain why this is awesome? 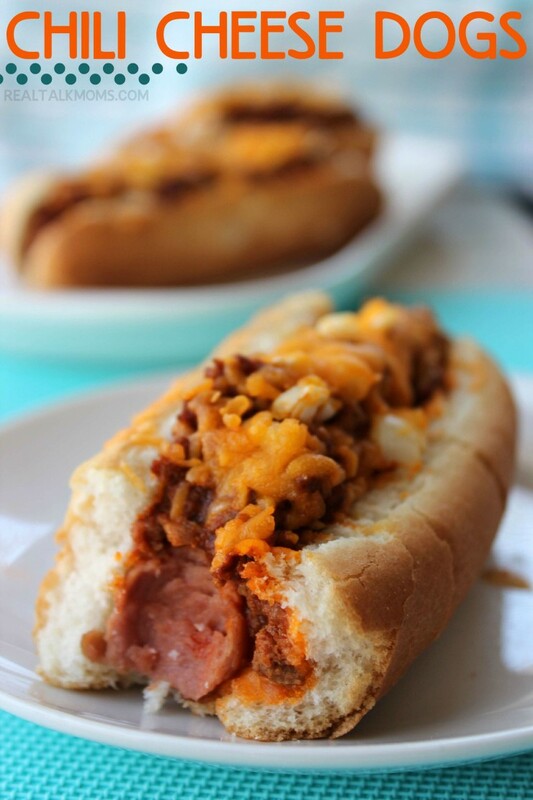 Chili Cheese Dogs – Chili Cheese Dogs are a staple way to dress a hot dog – and for good reason! Banh Mi Hot Dogs – Loaded with pickled carrots, jalapeños, cucumbers, cilantro, crushed peanuts and Sriracha! 7 Layer Dip Hot Dog – A hot dog with all the fixings, you just can’t go wrong! 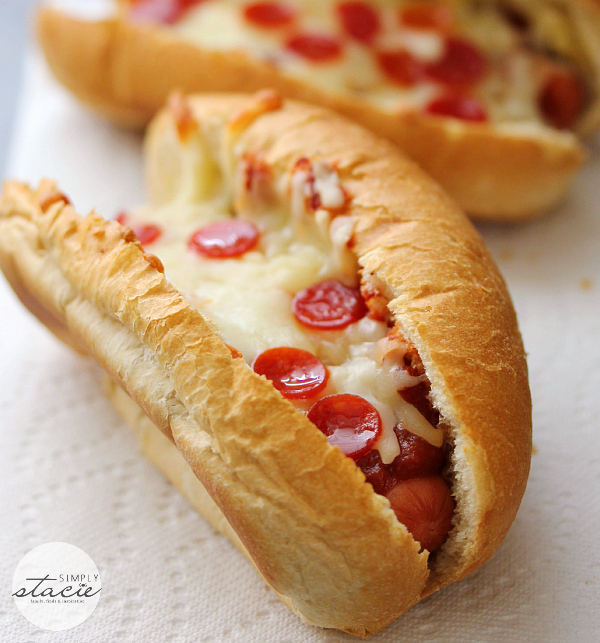 Pizza Hotdogs – These simple hot dogs can be customized in as many ways as you can top a pizza. Buffalo Hot Dogs – Buffalo Mayo, Celery and blue cheese make this hot dog pretty addictive. Coney Island Hot Dogs – Another all-American classic, the Coney Island Hot Dog is a delicious way to top a hot dog. Crunchy Bacon Cheese Hot Dogs – This hot dog isn’t about just flavours, it’s about that satisfying crunch too! Barbecue Bacon Hot Dog – This pretty much screams man, don’t you think? 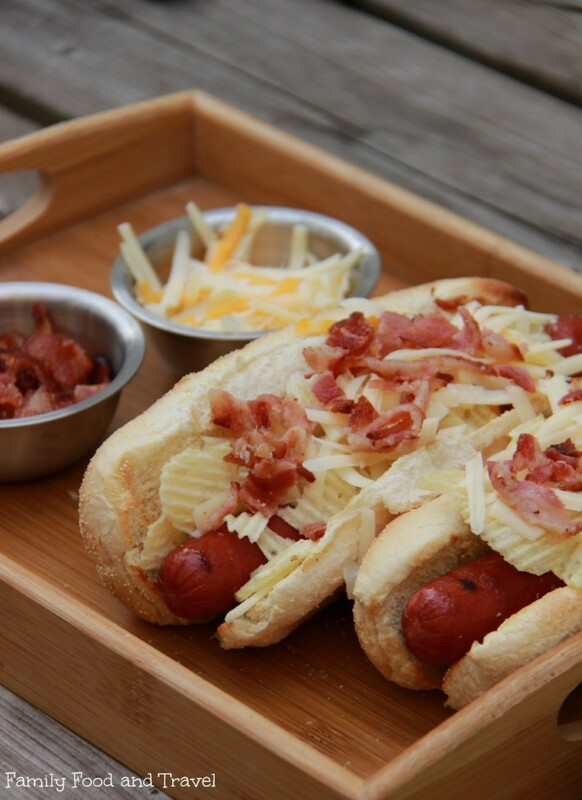 Potato Hot Dogs – No need to serve French fries with these potato hot dogs. 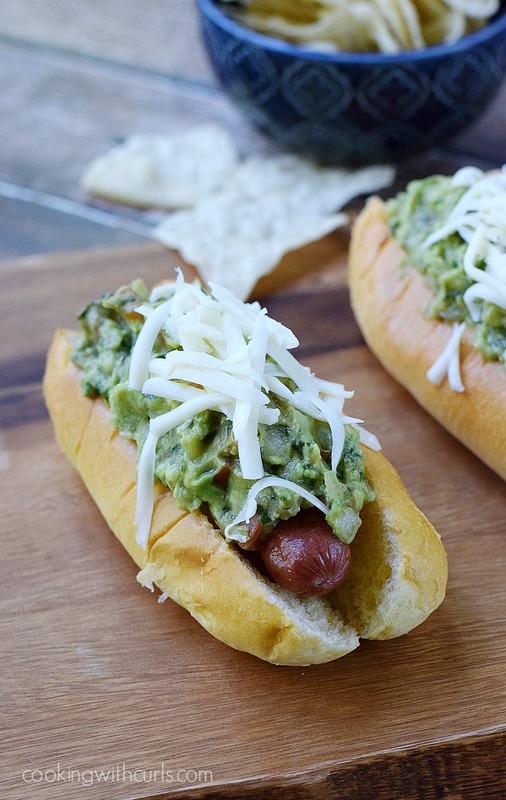 California Dogs – An all beef hot dog wrapped in bacon and topped with guacamole and Monterey Jack cheese. What is your favourite way to top a hot dog? Now this is a keeper!! What fabulous hot dog ideas thank you! I love hot dogs, sometimes I choose them over steak! thanks for posting! My hubby would love the idea of a Mac & Cheese Dog! Usually we just put Ketchup & Mustard on them. My gang is crazy about hotdogs. I will have to try some of these recipes out. 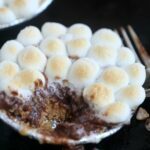 Wow, I am salivating from looking at all these pics! I love the Crunchy Bacon Cheese Hot Dogs one the most. Yum. Would love to be able to pin these on Pinterest but not interested in disabling my pop up blocker in order to do so. Everyone else doesn’t require that in order to pin stuff. I have eater most of these and heard of all of these and more. I am very surprised that you did not include either the Chicago or New York style hot dogs. It seems that every part of the country has their own hot dog that is popular to the area. Some are well know whereas others are regional or local. I have studied the history of hot hots. I have also read the ways people eat hot dogs in other countries. In Korea for example they eat hot dogs with kimchi on it. 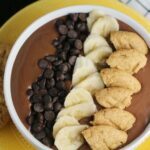 Those people who like hot foods might enjoy trying one of these. My wife and I had a restaurant specializing in hot dogs. We also served hamburgers and many other items to include salad and soup in the winter. There are so many different brands of honor dogs. We had customers ask about their favorite brand of hot dog. Being near a joint U.s. Army and U.S. Army so we had customers from everywhere. They frequently told us about their favorite hot dog. It was interesting. We introduced some of their favorites for a limited time. Some were fantastic and others were just ok.
We closed our restaurant after I had my stroke. I still love my hot dogs. I can only eat them occasionally due to doctor ordered diet. Did you know there is a restaurant in New York City that has a gourmet hot hog seven with toppings such as caviar and other exotic toppings. Your article was good. Maybe I will write one some day.